This is a massive one-stop centre for all your business needs comprising office units, workshops, studios and storage space. Perfect for industrial companies looking to open up or expand their business in Gloucester. Excellent road access to motorways and this is complemented by availability of over 180 car parking spaces within the premise. Gloucester offers a range of places to eat, drink and relax. This serviced office centre offers high-end executive suites that are suitable for a range of business types and sizes. A variety of services are available to help your business run effectively, and the centre enjoys an excellent location just a 5-minute walk from the railway and bus stations. A central location means that every amenity is close-by, including places to eat, drink and relax. The space is accessible 24-hours a day. This space is located just 1.5 miles outside of Gloucester City Centre, with it's array of facilities and attractions. A range of buses pass close by, and Gloucester Railway Station is also within easy reach - perfect for commuters. Accessible 24-hours a day, the centre offers breakout spaces, a management team, IT support, access to a kitchen, CCTV, WiFi, showers and postal facilities and mail handing. This centre boasts a convenient location at the heart of the regenerated Gloucester Docks, close to restaurants, shops and more. With world-class IT infrastructure, this centre offers wonderful waterside views from its range of beautifully refurbished offices. The nearby Railway Station provides services to London, and the space is less than three miles from the M5 motorway, adding to the strong transport links. 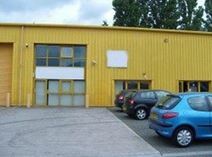 These offices to let offer a combination of refurbished office space and industrial units in a peaceful setting nearby Gloucester. It is only two miles away from the city centre and Junction 12 of M5, providing an easily accessible location. Top-of-the-mark services such as dedicated broadband and network access, latest IT equipments, spacious meeting/conference rooms and professional reception services are all readily available. The office is also fully-managed which means tenants are afforded complete peace of mind. This newly refurbished building boasts a broad range of amenities, including fast fibre optic internet and telephone systems, alongside an on-site support team to lend you a hand as and when you need it. Take advantage of the breakout spaces which are perfect to take a short spell away from the office. With different sized offices available, the space is perfect for all sized businesses. Located in Gloucester city centre, just minutes away from the amenities of Gloucester Quays, you'll find yourself surrounded by cafes, bars, restaurants and shops, perfect for your after work activities. Easily accessed by the numerous public transport routes running nearby, you'll have an easy daily commute. The space is located in a fantastic four-storey building, in a wonderful position in Gloucester City Centre. Overlooking the Docks, the centre is within walking distance of bars, restaurants and leisure facilities. Gloucester Railway Station runs services to London Paddington and Bristol Temple Meads. On-site, there are meeting rooms available, as well as a board room, a management team and and administrative support. This gorgeous Georgian building has been recently refurbished to a high standard and now offers a selection of fully-furnished and air-conditioned office suites. The entire place has been redone to offer a contemporary working space for occupiers - this is clearly reflected in the choice of furniture and technology. It is conveniently located just a few minutes’ walk from the city centre where there are plenty of shops, bars, cafés and restaurants. Brand new serviced office providing exceptional business support services and amenities such as open plan office space, variety of meeting/conference rooms, lovely reception area and state-of-the-art IT infrastructure. Ample parking spaces and 24-hour access are also provided. The office is located within a business park, close to local amenities and easy accessibility to the M5. Redbrick building in the heart of Gloucester with excellent transport links; seven minutes' walk to Gloucester Railway Station and near to other local bus stations with easy access by car, this space is perfect for your daily commute. With amenities at the property including meeting rooms, breakout spaces, reception services, administrative support and a private roof terrace overlooking the Gloucester Cathedral, why not come and watch your business prosper and thrive.